The four projects are eligible for property tax breaks to help support 32 units affordable to households earning 80 percent or less of the area median family income. Property tax breaks to support the construction of 32 affordable apartments under Portland's inclusionary housing policy are scheduled to be considered by the City Council on Wednesday. The apartments are in four different buildings scheduled for construction. The tax breaks are intended to ensure that lower-income households spend no more more than 30 percent of their monthly income on housing. Eligible households must earn no more than 60 or 80 percent of the area median family income (MFI), depending on the projects. In 2018, the Portland metro area MFI for a household of three is $58,640. The tax breaks on the affordable units are good for 10 years, and their affordability must be guaranteed for 99 years. The inclusionary housing (IH) policy was controversial when the council first approved it because it is required for all projects with more than 20 units, and some developers said it would discourage future construction by making financing difficult because the other tenants must essentially pay more than otherwise to help support the affordable units over time. The city says the IH program is a success, however. The project went into effect in February 2017. During its first two years, the city has permitted, or is in process to permit, a minimum of 422 IH units from 65 development projects — the equivalent to more than $34 million-dollar public subsidy from privately financed developments. • Arbor Lodge Apartments, located at 6545 N. Denver Ave., where 10 of the 66 units will be affordable to households earning no more than 80 percent of MFI. • Killingsworth North D Block, located at 5510 N. Denver Ave., where three of the 36 units will be affordable to households earning no more than 60 percent of MFI. 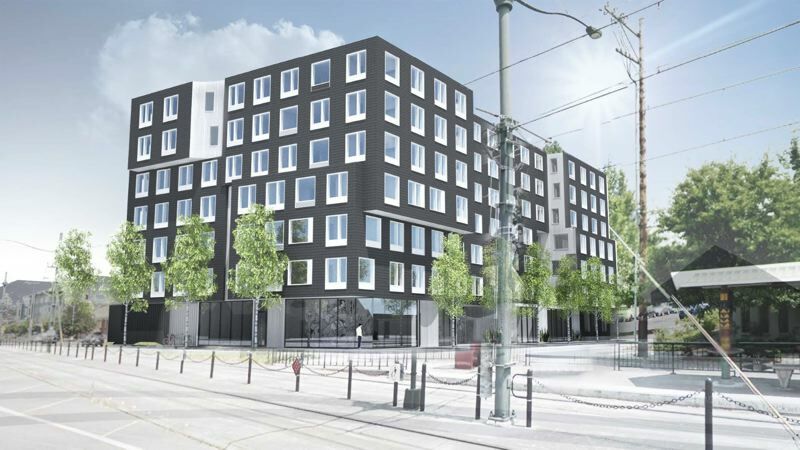 • Koz on Killingsworth, located at 151 N. Killingsworth St., where 13 of the 88 units will be affordable to households earning no more than 80 percent of MFI. • Nomad, located at 5620 N. Interstate Ave., where six of the 130 units will be affordable to households earning no more than 60 percent of MFI. You can learn more about why the city considers the IH program successful here.